JAKARTA - Indonesian authorities have warned a Singapore company against claiming that an island resort near Batam belongs to Singapore. 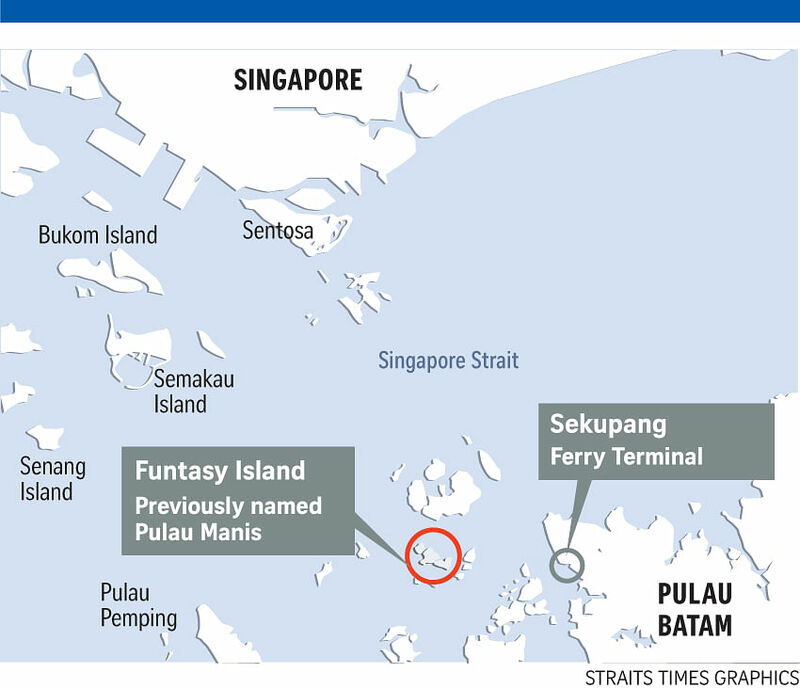 The Singapore-based developer, Funtasy Island Development (FID), had renamed Pulau Manis, a cluster of six islets north of Batam, as "Funtasy Island" when it recently unveiled its resort map, The Jakarta Post newspaper reported on Wednesday (June 1). The islands were presented in colours denoting them as Singaporean territory, Riau Islands provincial tourism agency head, Mr Guntur Sakti, was quoted as saying. An edited version of the map on the website now shows the islands presented in a different colour. "We already asked for an explanation from the Singaporean management. We gave them a warning not to make any sudden moves that would attract any negative perceptions," he said. But Singapore's Foreign Ministry said late Tuesday that it was "deeply puzzled" by the reports. "Singapore has never disputed Indonesia's sovereignty over Pulau Manis and does not lay claim to the island," the spokesman said. Mr Guntur said local authorities had lodged an official warning and requested clarification from the firm on Monday, but was told that the map was merely for marketing purposes. "We are concerned that the islands might be claimed by Singapore and we don't want that to happen," he said. According to the report, local army and navy personnel had also travelled to the resort on Sunday to plant a number of Indonesian red-and-white flags. Batam naval base chief Colonel Ribut Eko Suyatno said there were plans to build a naval post in the area to anticipate further actions. Riau lawmaker Makmur Nasution said exclusive management of the islands was a violation of the 2007 Coastal and Small Islands Management Law. "The local residents no longer live there, so the exclusive right to that island goes against the law. The government needs to set this straight," he was quoted as saying. 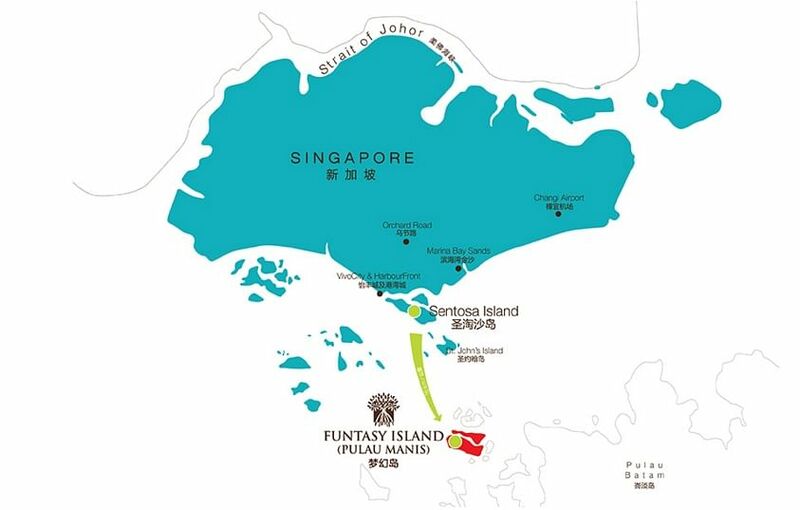 Billed as the region's largest eco-park resort, Funtasy Island is managed jointly by an Indonesian and Singaporean company, and has been developed over 20 years, said the report. Funtasy Island site manager Oke Yusma Nurjaman previously revealed that the resort, worth an estimated Rp 2 trillion ($201.6 million) in investments, had already sold out, with most of the buyers coming from Singapore.